Would you like to learn a new and exciting sport at one of the world’s best facilities? Then why not give kayaking a try at Penrith Whitewater Stadium, the competition venue for the canoe/kayak slalom events during the Sydney 2000 Olympic Games. Let our talented and enthusiastic instructors build your confidence and broaden your paddling horizons. 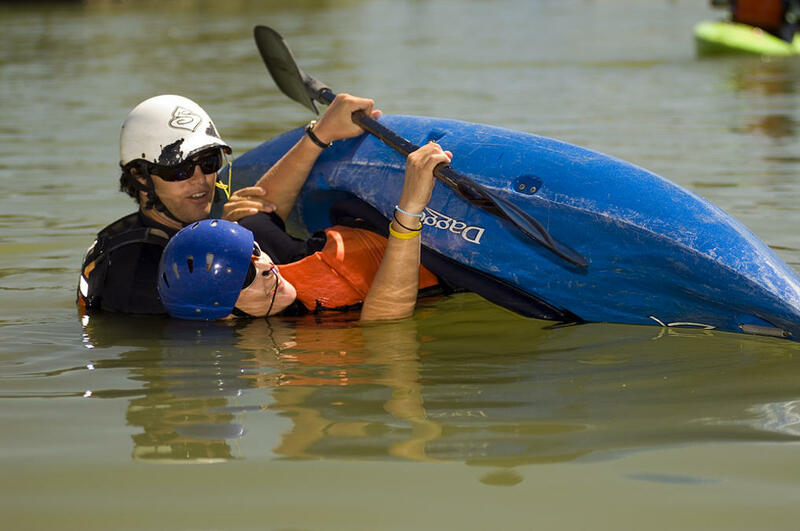 Penrith Whitewater offers a variety of lessons and courses that vary in length from a one hour lesson to multi-day skills improvement courses. Instruction is offered in two basic forms - group or private. See our 'how to book' section for important booking information on all of our courses. You will learn with a group of 3 - 8 people of similar skills and experience to yourself. This is our most popular form of instruction.We offer 4 levels of courses, from Beginner to Advanced.Cost of instruction includes all the necessary equipment (kayak, paddle, buoyancy vest, spraydeck & helmet) and recreational paddling fee for the following courses. Do you require something more specialised or would you like an instructor all to yourself? We will work with you to determine how best to meet your specific needs. This may include one-on-one instruction, a small group, or instruction in an area not covered by an existing course. Adventure Level: LOW - HIGH. We recommend that you be physically fit and be confident in the water. The most effective form of self-rescue for a paddler is the eskimo roll. Paddling whitewater is much safer and more enjoyable with a reliable roll. Our rolling lessons may cover anything from basic rolling to the more exotic variations. Adventure Level: MODERATE. We recommend that you be physically fit and be very confident in the water. 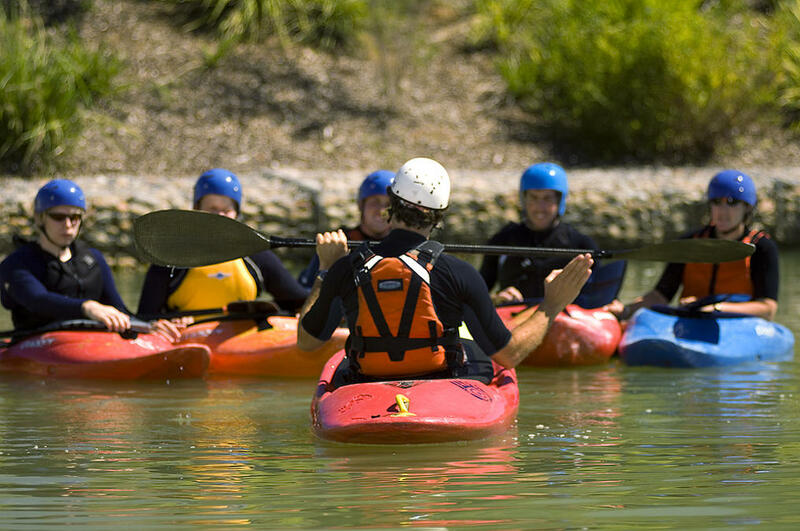 Includes beginner flatwater, movingwater and whitewater courses for the reduced price of $700 per person. All 3 courses must be booked and paid for together in advance. We can design a package to suit your needs. Courses for emergency services and the general public. Would you like to be a raft guide? Enquire about our courses. Some conditions apply. Prices, lessons & courses may be subject to change. Valid from July 2018. All prices are GST inclusive.